Iain Mattaj is one of the two honory doctors of the Faculty of Medicine in 2013! 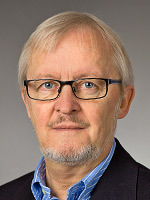 Iain Mattaj is the driving force behind the establishment of the Nordic EMBL Partnership for Molecular Medicine, with MIMS as the Swedish partner, the faculty says in its press release. Iain Mattaj has played an important role also in the founding of MIMS with his support and advice for the recruitment of young MIMS group leaders. 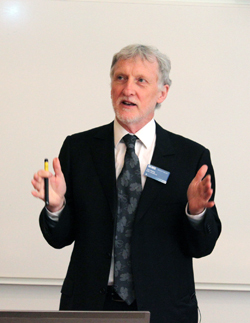 Iain Mattaj visited Umeå several times and last time he was one of the invited speakers at the launch event for MIMS in 2011. [2013-04-04] A new study which was performed jointly at Umeå University and the University of Washington in Seattle, USA, discovered that bacteria can degrade the cell membrane of bacterial competitors with enzymes that do not harm their own membrane. 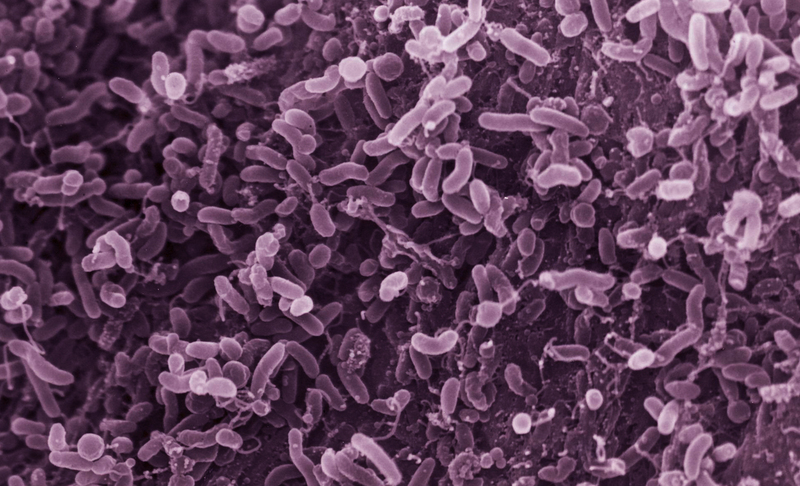 This exciting finding opens the way for the development of new antibacterial drugs to fight bacteria using their own weapons. (NATURE, 2013, DOI 10.1038/nature12074). DANDRITE, The Danish Research Institute of Translational Neuroscience, is the fourth Nordic partner in The Nordic EMBL Partnership for Molecular Medicine. 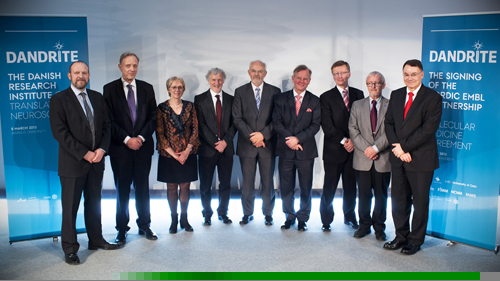 On March 5th a delegation from MIMS and Umeå University participated in the ceremony at Aarhus University to celebrate the official opening of DANTRITE together with representatives from EMBL and from the nodes and universities in Finland and Norway, FIMM at Helsinki University and NCMM at University of Oslo. Prof Poul Nissen, director for DANDRITE and Aarhus University, prof Thomas Wilhelmsson, Rector University of Helsinki, prof Lena Gustafsson, Vice-Chancellor Umeå University, Director General prof Iain Mattaj, EMBL, prof Lauritz B. Holm-Nielsen, Aarhus University, prof Ole Petter Ottersen, University of Oslo, and the directors for the three other Nordic partner nodes prof Olli Kallioniemi, (FIMM), prof Bernt Eric Uhlin (MIMS) and prof Kjetil Taskén (NCMM). Nobel Laureate Brian Kobilka will give a talk at Umeå University on 12 December, 11.00. In the afternoon he will also visit KBC and meet with young group leaders, PhD students, and highschool students. The professor of molecular and cellular physiology at Stanford University School of Medicine, shares the Nobel Prize in Chemistry 2012 with Robert Lefkowitz, Duke University. Both are being honored for their discoveries about the structure and function of a common signal interceptor, the G protein-coupled receptors on the membranes of living cells. [2012-06-29] For bacteria, snipping apart DNA that bears certain signature sequences is a defense mechanism. For scientists working in the lab, the same strategy can be a powerful research tool. With a newly discovered component of an adaptive bacterial immune system, scientists have identified a targeted method of slicing DNA that they say can be easily customized for a variety of applications in the lab. Andrei Chabes, group leader at MIMS and docent at the Department of Medical Biochemistry and Biophysics, will receive Umeå University's Eric K. Fernström prize 2012 for young and promising scientists. The prize committee at the Faculty of Medicine, Umeå University, decided to award Andrei Chabes for his "outstanding and innovative research on how DNA building blocks regulate important processes in the cell". The prize amount is 100.000 SEK and Andrei will receive the prize at the Academic Autumn Ceremony at Umeå university. According to the founder of the prize, the ship-owner Eric K.Fernström, the Fernström foundation awards every year six young researchers at Sweden's six university medical faculties. For the fourth time in a row the Faculty of Medicine at Umeå University selected a MIMS group leader. In former years Emmanuelle Charpentier, Jörgen Johansson, and Niklas Arnberg already received the prize. A new EU course webportal is available now! On-course claims to be "the most comprehensive biomedical and medicines research and development postgraduate course portal in Europe". on-course® is powered by EMTRAIN, the European Medicines Research Training Network. The EMTRAIN project is funded by the Innovative Medicines Initiative (IMI) Joint Undertaking, a large-scale public-private partnership between the European Union and the pharmaceutical industry association EFPIA. From Umeå university and UCMR/MIMS the Laboratories for Chemical Biology Umeå (LCBU) at the department of chemistry are our EMTRAIN partners. EMBL Partnership for Molecular Medicine (FIMM - MIMS - NCMM) joint Special Seminar at the Biomedicum in Helsinki. Video transfer of the talk to Umeå and Oslo simultanously. Niklas Arnberg, group leader at MIMS and professor at the Departement of Clinical Microbiology, is one of three Umeå University researchers who received funds from the Torsten Söderberg Foundation. Niklas is funded with one million SEK for his research project "virus receptors: their role for tropism, therapy and targeting". 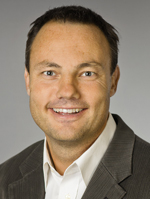 At the General Meeting on 18 January 2012 Bernt Eric Uhlin, was elected new member of the Swedish Royal Academy Sciences. The director of MIMS is professor in medical microbiology at the department of Molecular Biology and also director of UCMR. Umeå Centre for Microbial Research.